Have you ever tried race walking? No? It is a traditional sport in Saransk. Even the Olympic Training Center of the Republic of Mordovia in race walking is located here! And what about birdwatching? Felt boots? Or, maybe, Pachat? Saransk is a city in central European Russia and the capital of the Republic of Mordovia, as well as its financial and economic center. 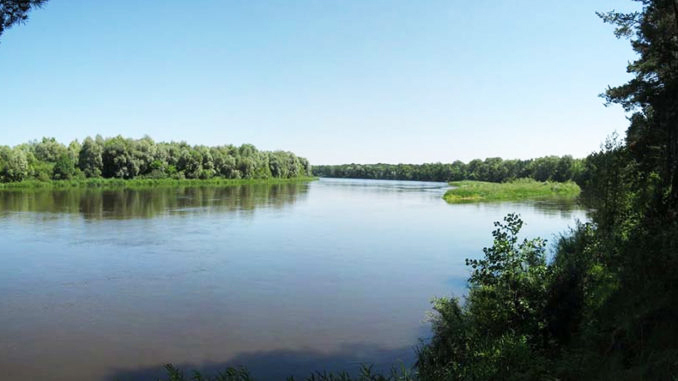 The name ‘Saransk’ refers to the city’s location on the Saranka river. It was founded in 1641 as a fortress, and nowadays it is a small and cozy city with a population of 300,000 people. It`s one of the most beautiful cities in Russia, the world-famous place due to its sports achievements and the hometown for many Olympic and World champions. Its very modern and European looking streets are attracting thousands of tourists from all over the country. It combines historical buildings, fascinating sports venues, crowded malls and cozy parks. Believe me, here you will feel at home! And our locals will help you with this. 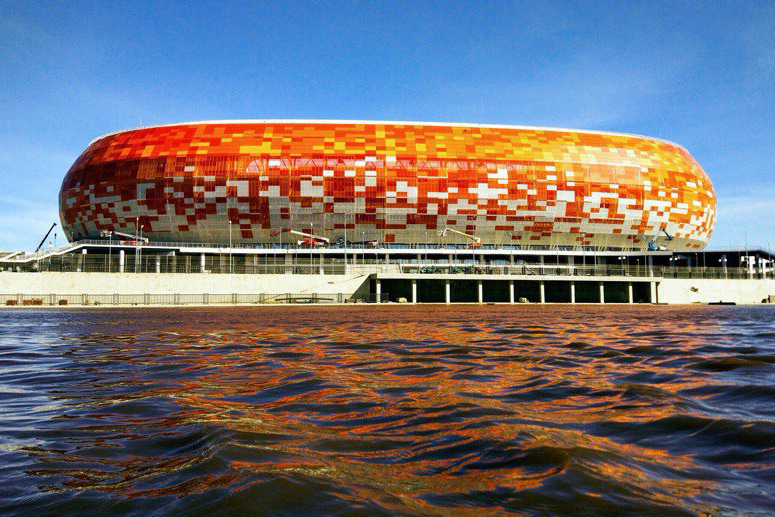 If the tickets for the matches are in your pocket, you probably know something about the brand new venue for the 2018 FIFA in Saransk called Mordovia Arena (Мордовия Арена). 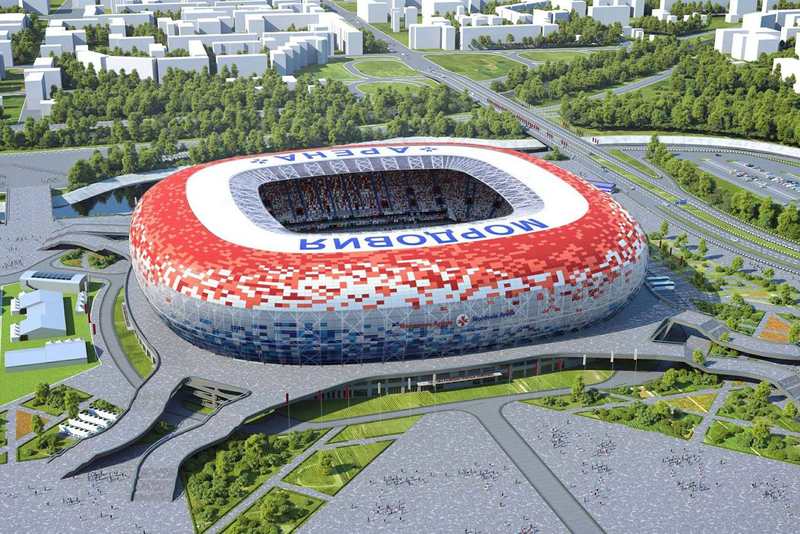 It has a capacity of almost 44,500 spectators and after the World Cup will host FC Mordovia Saransk of the Russian Professional Football League, replacing Start Stadium. As you may have noticed, the design of many stadiums reflects the peculiarity of the city. And Mordovia Arena is no exception. The stadium design is based on the image of the sun, the main symbol of ancient myths and legends of the Mordovian people. The favorable thing about the stadium is that it is located in the central part of the city on the eastern bank of the Insar River and is within a walking distance of the city’s key infrastructure. Saransk’s main railway station lies a little further north, but still only a 2 kilometers away, or 30 minutes walking. Saransk’s bus terminal, on the western edge of the city, lies much further away, over 4 kilometers. While most central parts of Saransk are located close to the stadium, bus 44 can be useful to get there quicker. Moreover, there are also multiple marshrutkas running along Volgogradskaya street next to the stadium that can be of use. Address: Volgogradskaya Street (ул. Волгоградская), 1. You should also know that the stadium follows a no re-entry policy: after a ticket is scanned to access a spectator’s seat, it cannot be used to enter the stadium again. Among other things, it is recommended to arrive at the stadium reasonably in advance: entrances open to spectators 3 hours before the match. How are you going to get to Saransk? 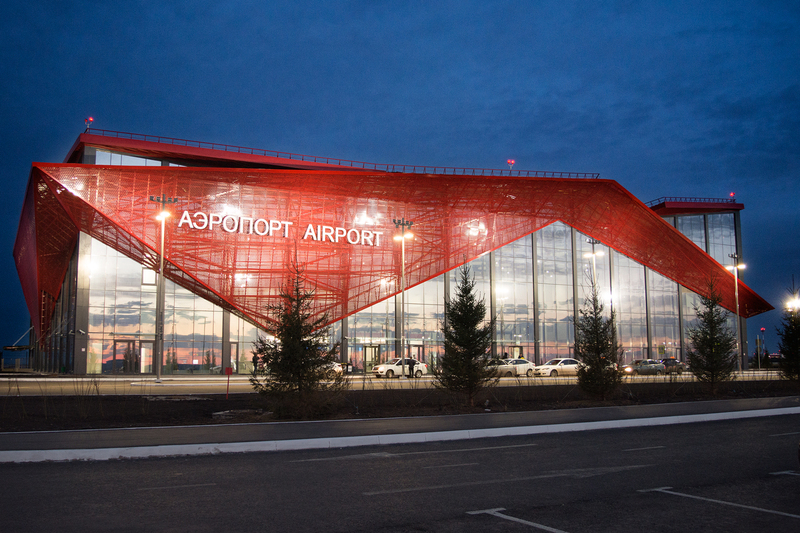 If by air, Saransk has its own small international (only in its name) airport – Saransk Airport. It serves small airliners but has undergone a major renovation in 2017 in time for the 2018 FIFA World Cup. 1. 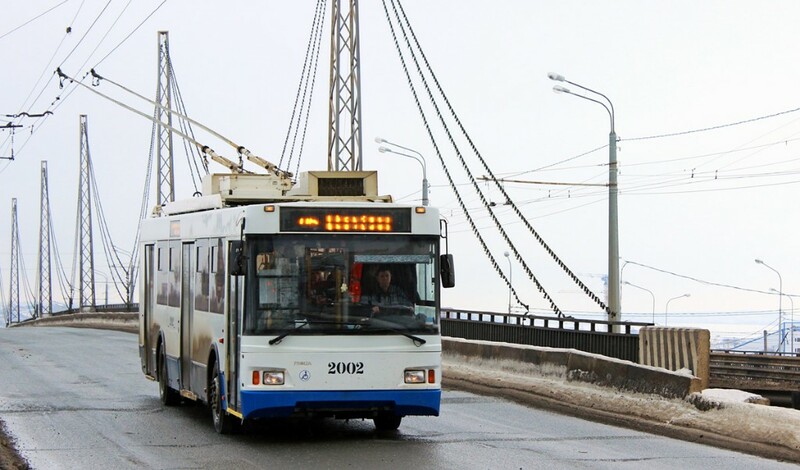 You can take a bus №29, which goes through Krasnaya Street (ул. Красная), Sevastopolskaya Street (ул. Севастопольсткая) and Lenina Prospect (пр. Ленина) and ends its journey at the railway station. — departure from the railway station: 07.10 am; 08.30 am; 10.40 am; 12.00 am ; 5.05 pm; 6.45 pm; 10.15 pm. — departure from the airport: 07.50 am; 09.30 am; 11.20 am; 12.50 am; 5.45 pm; 7.45 pm; 11.10 pm. 2. Take a bus №7, its route goes through Krasnaya Street (ул. Красная), Lenina Prospect (пр. Ленина), Titova Street (ул. Титова) and Stroitelnaya Street (ул. Строительная). Busses go from 6 am to 10.30 pm daily with the 20-30 minute interval. 3. The third public transport option is a marshrutka №15, that goes through Lenina Prospect (пр. Ленина), the main bus station and stops near the central market. If you don’t want to deal with this public transport hassle, don’t just take a taxi, as your driver will not probably know any word in English and the service will be overpriced – it is better to hire a reliable MeetnGreeter instead, who can arrange for you the most comfortable transfer, drive you to destinations or help you to rent a car. Sounds great, isn’t it? If you choose traveling by train, you will arrive at Saransk-1 railway station. Every day dozens of trains run through Saransk-1 in various directions: to Moscow, St. Petersburg, Samara, Orenburg, Adler, Vorkuta. You won’t get lost here: the station building is located almost in the center of the city on Vokzalnaya Street (ул. Вокзальная), 7. Bus №6 and tram №11 connect it with the main bus station; buses №15, 18 and trams №1,2,7,8 connect it with the downtown. Saransk is a small city, and thus the only public transport needed is the bus (however, trams and marshrutkas are also available). The city is small enough to walk around easily, but the bus is there in case of emergencies or total laziness. Buy your ticket from the driver when entering the vehicle – the fare is RUB 20 (approx. $0.4) for all types of transport. During the game days of the FIFA World Cup, public transportation services for fans will be free of charge. You can find the necessary bus route on the official website or plan your journey using Google Maps or Yandex Maps/Yandex Transport. As for taxis, they are usually ordered via phone and such applications as Uber or Yandex Taxi. A bonus: you can get full information on public transport from local people in Saransk. And if you request ‘planning a trip’ service, you can just relax as MeetnGreetMe assistants will carefully plan everything beforehand for you. There aren’t as many hotels in Saransk as there are in the other World Cup 2018 host cities (the population is only about 300,000), and none is located directly near the Mordovia Arena. However, there are various apartment rentals to choose from. In the center, Saransk Hotel and Meridian are both within the walking distance from the stadium, with a number of other hotels further away. For example, you can also stay in Admiral Hotel (quiet hotel a bit outside of the city center with an indoor pool, fitness center, and spa) or Park Hotel (it has a great location, the reasonable rate, tasty breakfast and a nearby park). Of course, there are also apartment rentals, hostels, and a range of other options available for traveling fans! But in Saransk, you will probably need an expert, friendly advice on where to stay and finding the best deals. That is why we recommend you to contact locals from Saransk – they will turn your worries into calmness and find the best options depending on your taste. We suppose it is wise not only to attend the FIFA sports events but also to discover Russian culture and traditions. Happily, MeetnGreeters know how to combine everything in one trip and make the most of it. Whether you need a detailed route or a city guiding – feel free to drop them a request and tell about your interests and expectations. So what kind of activities are you into? If you want to immerse into history, pop into one of the many cool museums. 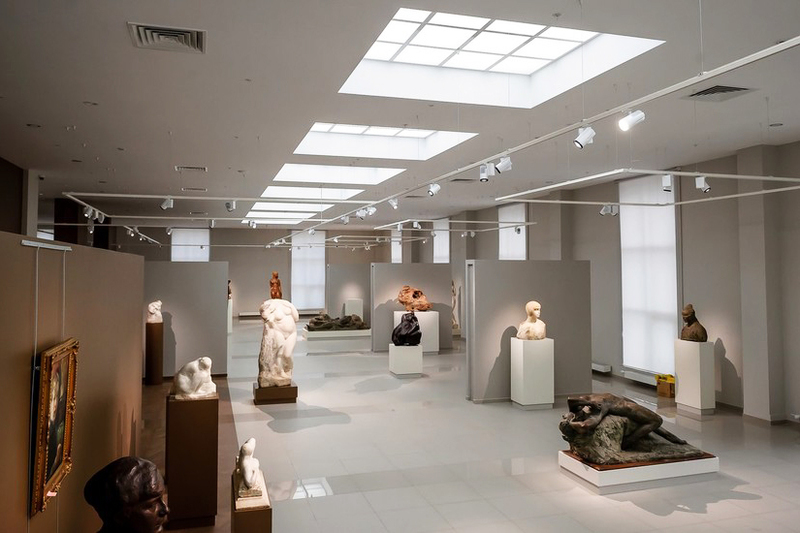 Start with Mordovian Erzia Museum of Visual Arts named after Stepan Erzia, a very famous 20th-century Russian sculptor, born in the Republic of Mordovia. Here you can find not only the largest collection of his sculptures but also works of other Mordovian and Russian artists. You’ll need at least an hour to look through the museum’s collection, which contains more than 1500 items. Then head to discover Museum of Mordovia Folk Culture. This ethnographic museum was opened in 1999. The exhibition (over four thousand exhibits), consisting of artifacts presenting every aspect of Mordovian life, is housed in a very beautiful building that is as well a monument of late 19th-century architecture. For a more relaxed pastime, visit Mordovskoye Podvorye Ethnographic Museum Complex. Traditional houses and ways of living can be seen in this truly interactive open-air museum. If you want to see the real city and not just one museum, go to Pushkin’s Park beloved by locals. There is always something going on here, so be sure to cover every single meter. And don’t forget to find the monument of Pushkin! The Vladimir Rzhavitin botanical garden is also a suitable place for long walks, meditation, and breaks from the city hustle. 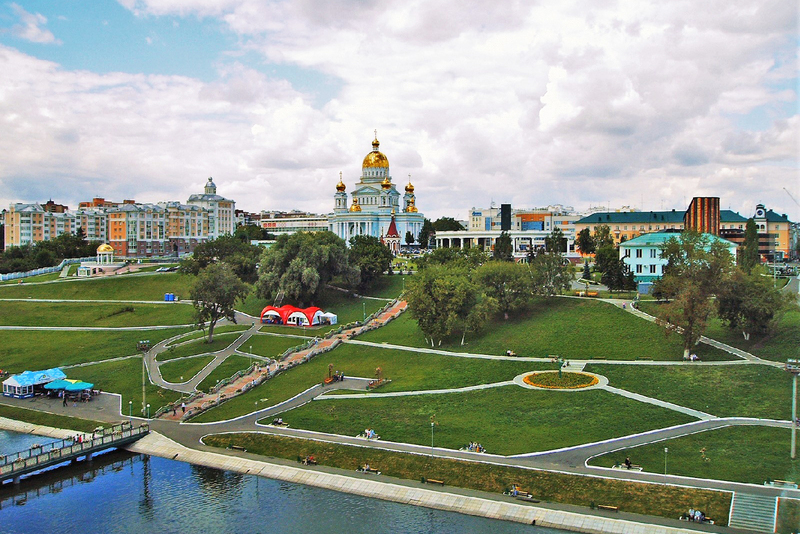 It is located on the right bank of the Insar River and is considered one of the natural sights of Saransk with over 1,700 plant species, including those on the IUCN Red List. The rose garden is the most popular place here in summer. Sovetskaya Square (пл. Советская) is Saransk’s historic center. The area used to have its own Kremlin, but it was burnt down in the 1800s. 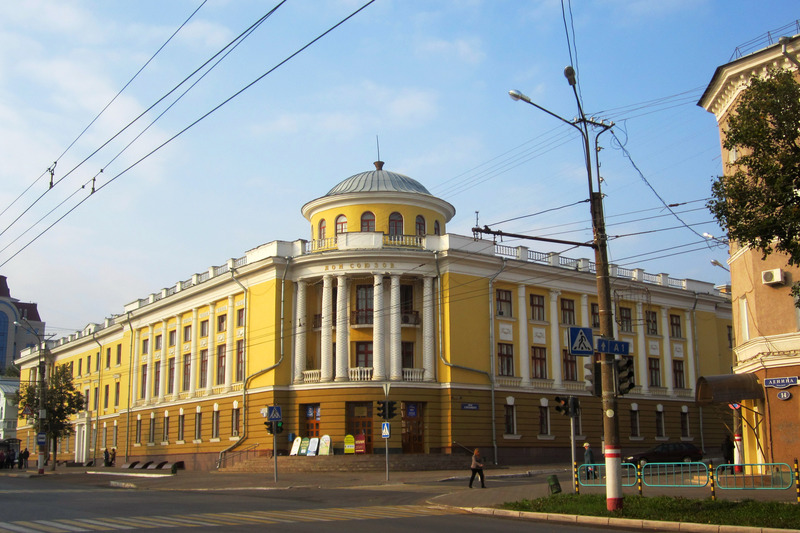 Today, the square is home to the Mordovian capital administration and the House of the Republic – a monumental building that is the residence of the head of Mordovia. It will hold the majority of the Fan Fest events. Then there is Victory Square, which also forms part of the city’s historic center, with its focal point – the monument to Mordovia’s soldiers who perished in the Second World War. And don’t forget to see such nice places as Cathedral of St. Fyodor Ushakov, Mordovian Drama Theatre, and Tysyacheletia Square (пл. 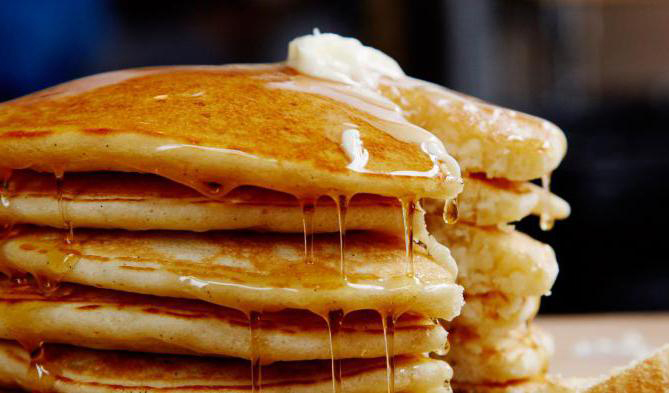 Тысячелетия). In case of any arising questions, you know what to do – write to MeetnGreeters and enjoy your stay in full! For dinner – Big Pig (for tasty burgers and seafood), Mordovskoe Podvore (for traditional dishes). In Mordovia, your must-try dishes are ‘Bear Paw’ (cutlet covered with crackers imitating bear claws), Pachat (Mordovian pancakes) and Kurgonya (tarts with potato filling). Yes, as you can see, there is a plenty of great options! Is it high time to order a ‘gastronomic tour’ service? Make up your mind, locals left all the coolest places for this purpose. Ogarev Plaza (Огарев-Плаза) is a shopping and entertainment complex located at the intersection of the busiest central streets of the city, nearby the Sports Palace and city’s main sights. There are 50 shops and 8 food places, fitness center and an entertainment area. 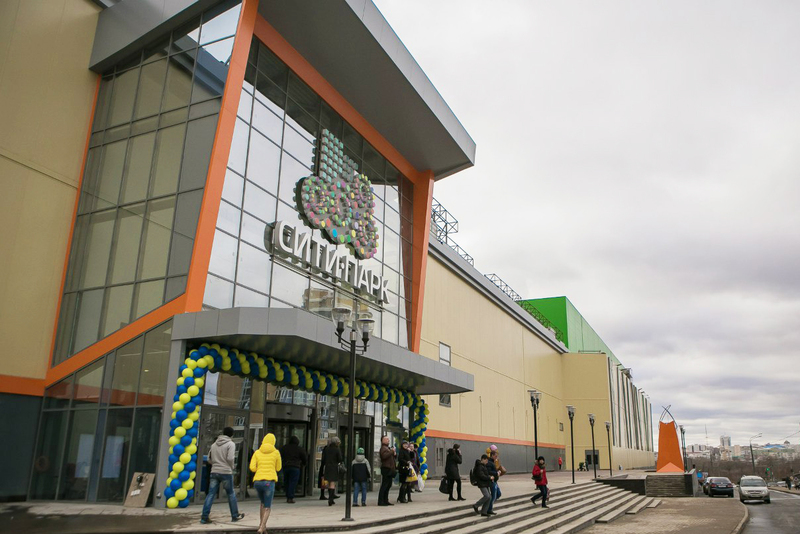 City Park (Сити Парк) is a new family mall in Saransk downtown located close to the stadium. On three floors of the shopping center, there are more than 200 shops, a restaurant for 500 seats, 9 cinemas. Come here with kids – they will enjoy a special leisure and entertainment zone. RIO (РИО) is a part of famous Russian shopping mall chain. It is also located not far from Mordovia arena and can offer everything you need: from stores of all types to restaurants. It is a nice place to relax and eat before/after the matches. If you want to buy some traditional souvenirs from the area, you should check the productы of the iconic Lamzur factory that makes truly unique sweets. They are available only within the republic, so be sure to pick some up and take it home. Sweets in paper boxes are decorated with sculptures by Erzya and paintings by Mordovian artists. Another eatable option is famous cheeses of the Ichalkovsky cheese-making plant and the Sarmich dairy plant. Moreover, the village of Urusovo is famous nationwide for its felt boots, and the region – for the handmade dolls wearing traditional Mordovian clothes. You can find a nice gift at Mordovskie Uzory (Мордовские узоры) – a local shop specializing in traditional Mordovian attire. Come here for bright folk costumes, jewelry, and some souvenirs. 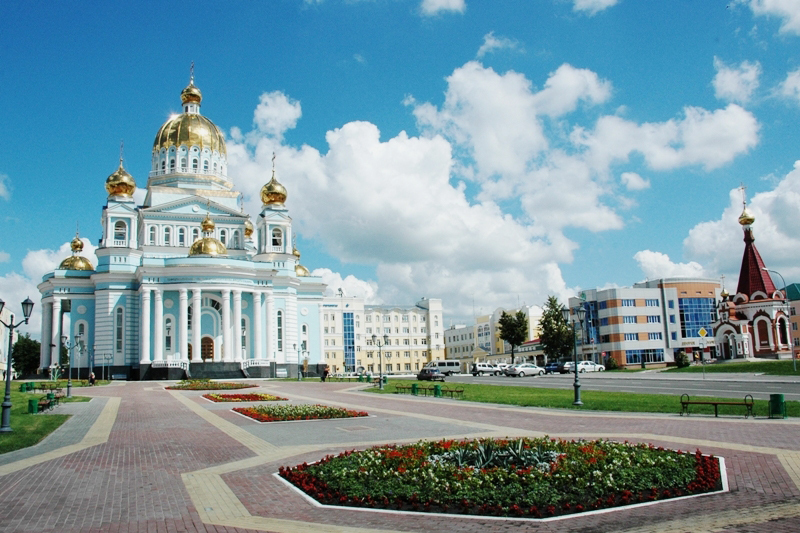 In small Mordovia, there are many things to admire and to draw your attention to. Local people are closely united with nature and prefer to spend their leisure time outside the city, for example, next to one of the many water reserves (in the region you can find more than 500 lakes and more than 1400 rivers). For an authentic experience, head to Inerka (Инерка) or Tatarka (Татарка) lakes: have a picnic, take a walk in the forest, enjoy the rare types of plants that grow here, swim and, maybe, fish. In case you want a several days getaway, choose one of the recreational facilities on the Inerka Lake. The most well-known are sanatorium ‘Orbita’ (Орбита), ‘Fisherman’s House’ (Дом Рыбака), ‘Rainbow’ (Радуга) and sanatorium ‘Forest Lake’ (Лесное озеро). Unfortunately, these places don’t have websites and it is unclear how to book them so we recommend you to turn to MeetnGreeters from Saransk that will do it for you. Locals say that ‘Forest Lake’ is the best recreation choice. Here you stay in private summer houses (for 2, 3 or 4 people), rent boats and catamarans, and take advantage of sports and fishing equipment, sun loungers and equipment for cooking in nature. In addition to the above-mentioned entertainment, vacationers can count on diving lessons, horseback riding and excursions to nearby forests. Smolny National Park (Смольный национальный парк) is also located nearby, in the northeastern corner of Mordovia. The park is accessible by bus to the village of Smolny (Смольный) on the edge of the park. The grounds have furnished recreational areas with picnic pavilions, areas for swimming, and areas for collecting mushrooms and berries. There is a museum on the site of the ecology and natural history of the region in Mordovia. And have you ever tried birdwatching? Now is the time, as more than 250 species of birds have been recorded in the park! Will you try to take a picture of a curlew, owl and imperial eagle? Driving to destinations – after reading the guide you might understand that using a taxi is not a trustworthy option in this city. In case you need an English-speaking driver + guide, turn to our local concierges. Don’t forget to share your experience with us and see you in Saransk!